The recent case the General Court of the European Union (the EGC) had to resolve was a great example of the correlation of conceptual similarity and public confusion. What conceptual similarity entails and how (not) to defend it, this case presents a systematic lesson for everyone. Welcome to Whatsapp.com! Step one, choose a preferred language for a more personalized experience. That is, unless you are looking for the Terms of Service (ToS). Although being one of the most important elements of this messenger service, they are provided in English only. The Berlin Court on 8 April 2016 rendered the ToS invalid, requesting WhatsApp to adjust to their German-speaking users. And what a year it was! On May 1, 2016 LexDellmeier IP Law firm turned seven. Founded in 2009, each year has brought exciting new challenges, cases, clients etc. 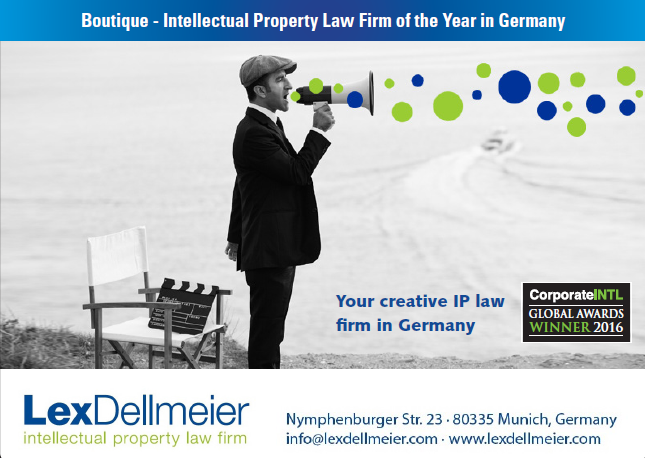 leading to growth and success and a 2016 award as the Boutique IP Law Firm of the Year in Germany. This year we decided to mark our anniversary with a new-and-improved LexDellmeier webpage at www.lexdellmeier.com. Our aim is to give you a full overview of intellectual property, whether you are an IP enthusiast or a newbie just getting interested in the subject. In particular, we have included our blog, which can now be found at http://www.lexdellmeier.com/de/blog. With the booming of online commerce, entering your personal information and sending it to the cloud has become inevitable. Along grew the concern of both citizens and businesses. The lack of control over given data worried many and the fragmentation of laws and complicated national systems of obtaining protection did not help. Therefore, it is no wonder that 90% of the surveyed EU citizens opted for an improved and unified EU data protection legislation. After the European General Court’s (EGC) ruling on September 2015, the battle of the reptiles continues in front of the Court of Justice of the European Union (CJEU). As Lacoste protects their famous crocodile logo, Kajman is trying to prove the difference of their KAJMAN logo.